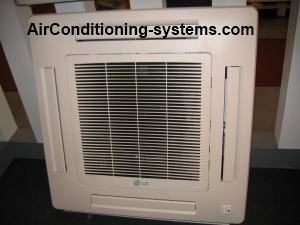 Here are some of the air conditioning pictures to enable you to recognize the current products that are selling in the market. 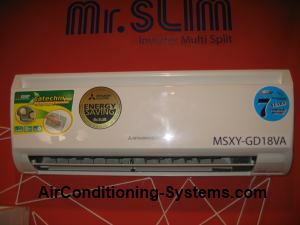 Split units are commonly installed in homes and offices these days as they are easily available and lower cost compared to central air conditioning system. New features are always added as almost all HVAC manufacturers have their own research and development team in house to improve their products. Split units are usually produced in mass quantity and China is where most of the big factories are located due to the lower labour cost and greater demand there. Chinese manufacturers such as Haier are going globally with their products to compete with Japanese and Korean manufacturers. The main Japanese manufacturers for unitary products are Panasonic, Daikin, Toshiba and Sanyo. Big Korean producers include Samsung and LG. 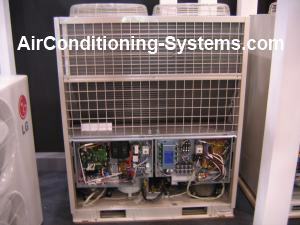 Here are some air conditioning pictures for your viewing. 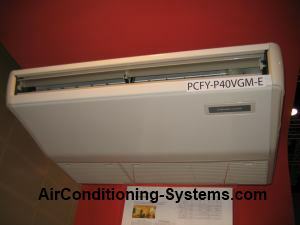 Cassette Air Conditioner that is mounted on the ceiling of the hall or room. Some units such as this one has motorized return air panel that makes cleaning of filters easier. 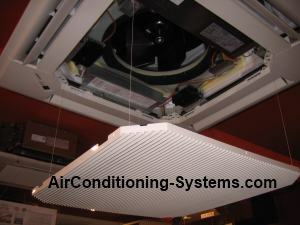 Ceiling mounted air conditioner that is commonly installed in shops, offices and restaurants. A Haier floor standing unit which can also be installed on the ceiling. 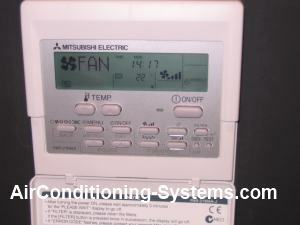 Intelligent controls are commonly fitted into energy savings inverter-based system. A modern control panel by Mitsubishi. 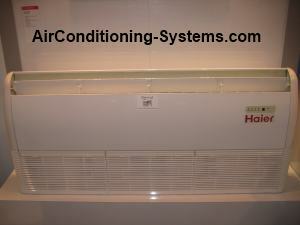 New features that are being added to the split units include the intake of fresh air from outdoor to indoor. Makers who have this feature has an added advantage as split unit has always being labelled with its inability to bring fresh air into the room. Taking in filtered fresh air from outdoor greatly enhance the quality of air inside the room. It helps to ensure that the percentage of oxygen in the room remains high even after a long period of time. The other feature is the use of ionizer to enhance the quality of air by removing positively charged ions from the room. The whole idea is to simulate a fresh air similar to the air when you go to the waterfalls for picnic. Other filters are also used to remove harmful bacteria from circulating in the room.